Rafael Nadal has signed a three year contract with Mueller Sports Medicine he has officially joined The Mueller Pro Team. The contract states Rafa Nadal will have to endorsing Mueller’s Pro Strips abrasion control products. 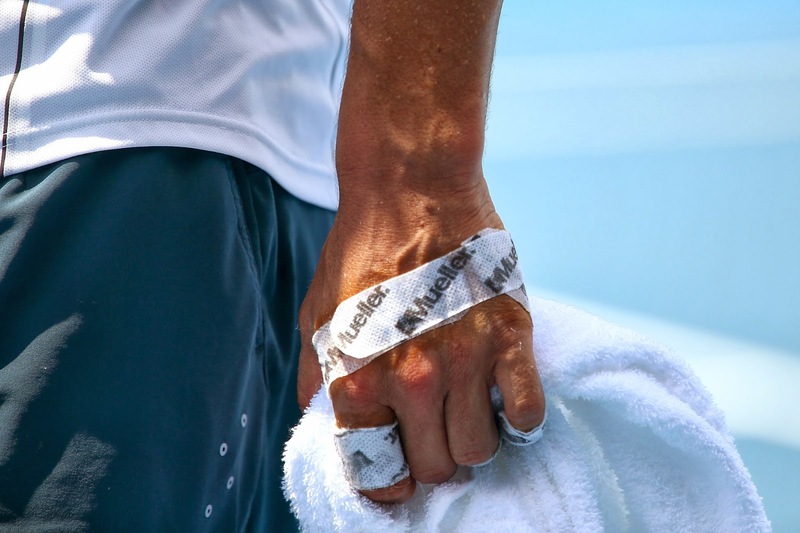 Rafa Nadal has been seen wearing Mueller Pro Strips around each of his fingers on his left hand. He says that he must wear them to protect his skin from blistering and tearing during a match. Rafa Nadal also has been quoted as saying that applying the strips is part of his crucial pre-match ritual. Pro Strips are pressure-sensitive mesh strips available in rolls or pre-cut shapes that help protect against turf burns, scrapes and blisters.